4 Slot Upright install with just a strip light. If all has gone to plan we should have 12v from our power supply, The data cable from the MVS to the new control board, the new led panels lined up with the marquee and the coloured wires fed back to the control board location.Before powering the game up double check all connections and make sure nothing is shorted or touching anything metallic. As soon as you power up the cabinet the control board will run a self test and each panel should light up in turn and then panel 1 should stay lit. If you want to do a full test remove all the game cartridges or press the service switch and go to the hardware test page. This will cycle through each panel until you exit the hardware test. Look for the panels to be in the correct order as it counts up. You can use the on board white leds to check what panel should be on at any time. The control board has a button that when held down lights up all panels and then you can change the brightness with the small potentiometer in real time. Once you release the button the Neo Geo will then take over and light up the panel for the selected game. vid of hardware test and panel testing. So that should be fully working, just tidy up any wires in the cabinet and enjoy your Neo Geo with it’s new LED mini marquees. My name is Lee Smith, I enjoy making things and have a longtime passion for arcade games. 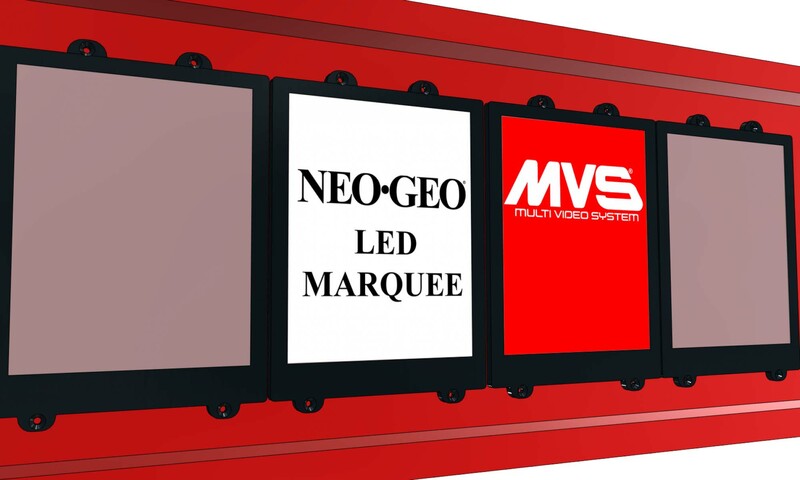 I built my own Neo Geo cabinet and wanted a working mini marquee. After a year this is the result.